Neil joined the firm as Audit Partner at the beginning of 2017 when Phelan Prescott + Co merged with Crowe. Neil grew up in Sandymount, Dublin 4, the youngest of four children having two older brothers and a sister, and attended St. Mary’s School in Booterstown for primary and St. Conleth’s College, Ballsbridge for secondary. Throughout his youth he was a keen sportsman medalling in Leinster schoolboy’s athletics and cricket and having a keen interest in hockey and tennis. He continued playing mens hockey at Railway Union until side-lined by injury a few years ago. Neil’s main passion from a young age was freshwater fishing. His interest for fishing developed on a family holiday to Canada, where his parents rented a log cabin by a lake for two weeks. At only 10 years old, and with just a brief and unsuccessful introduction to fishing by his father (Conor Davitt, Crowe Consultant) on the Grand Canal in Kildare, Neil would spend all his holiday on the lake. A life-long passion with fishing was born. Neil is very competitive and rose quickly through the ranks, winning the Junior Irish Angling Masters, the Junior National Championship and the Junior Canal Championship. Neil was selected to represent the Seniors Irish team at the Six Nations Championships in 2002 and again in 2003. Despite the sponsorship available to team members, there was still quite a financial burden when representing your country in coarse match fishing, “The challenge is that it is expensive to enter competitions and sponsors will only donate equipment or supply you at trade prices. That, and the time commitment needed, made it increasingly difficult to balance competitive fishing with my new career.” Neil retired from international duty following the 2003 Six Nations campaign but continues fly fishing for trout and pike, time permitting. Throughout college Neil worked in a busy Ballsbridge restaurant as an expeditor – the person effectively managing the workflow between the kitchen and the restaurant floor, ensuring all food went out on time and up to standard. It was an unusual role for a vegetarian but one he enjoyed, managing a busy service (up to 250 covers on a weekend night) and the colourful banter with the chefs. 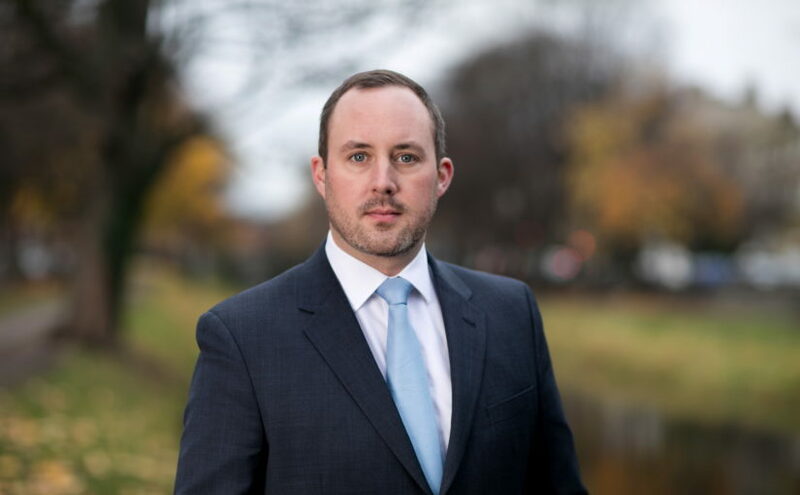 “But after I finished my Business Studies degree I was keen to get some professional services experience on my CV so I asked my father if I could come in as an intern to his Accountancy Partnership.” Conor was initially hesitant when approached however, after some persuasion and the support of partner Brian Geraghty (who joined Crowe from Phelan Prescott + Co with Neil), his father relented and Neil joined the practice in 2003. In his spare time Neil still enjoys the outdoors. He took up fly fishing after ending his competitive coarse fishing career and regularly goes clay pigeon shooting at the Balheary Club in Swords. Neil loves to ski and work commitments allowing, he visits Avoriaz, an alpine ski resort on the French/ Swiss border twice a season. Another of great passion of Neil’s is hiking and wild camping in the Wicklow Mountains. Since becoming a partner in 2014 Neil assumed responsibility for his father’s practice. Following the merger with Crowe at the start of 2017, Neil also took over client portfolios from Andrew O’Riordan and Thomas Phelan, in addition to enjoying significant client referrals. Neil views the merger with Crowe as a resounding success both for him professionally and also the clients who can now benefit from an increased service offering.